The Aurora Borealis is a magical lightshow created by the sun, and while it occurs all year round, the Polar Nights gives us the opportunity to see it at any time of the day. 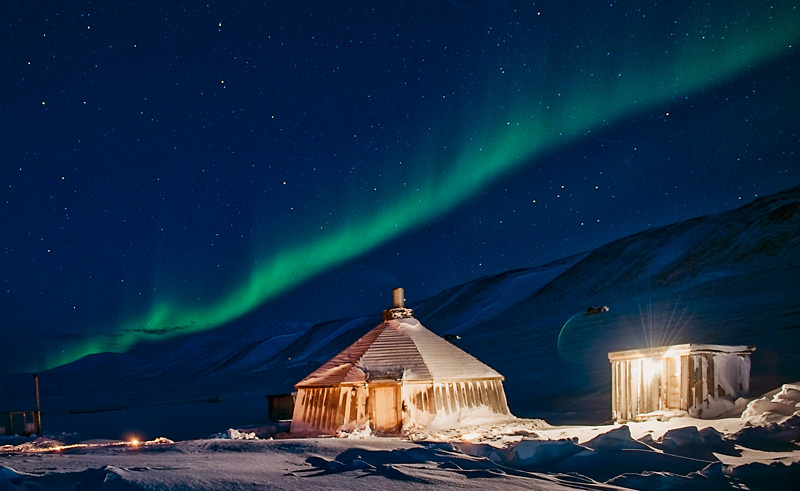 Your Northern Light base for this excursion is located 10km from Longyearbyen at Camp Barentz, well away from the light pollution of the town, giving you an even greater chance of seeing an amazing display. During the evening you will enjoy a fascinating presentation on the Polar fireworks as well as a delicious dinner and drinks. This is an indoor activity, however we would recommend comfortable outdoor clothing and warm shoes as you may wish to spend time outdoors looking for the Northern Lights.